Designed, calculated and tested according to Czech UL-2 and American f2245 LSA standards, the ZJ has four versions: Mono wheel, Tri wheel, Part 103 ultralight, and Light Sport Aircraft (LSA). A simple, one piece, all composite fuselage, engine, wings, wheels and tail surfaces, results in low maintenance and price. Wing construction consists of glass fiber leading edge and composite ribs covered with Ceconite. The horizontal tail, rudder and ailerons have an aluminum structure. 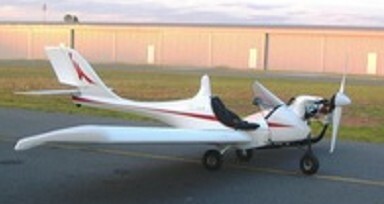 The wings and horizontal tail are easily detachable for transport and storage.